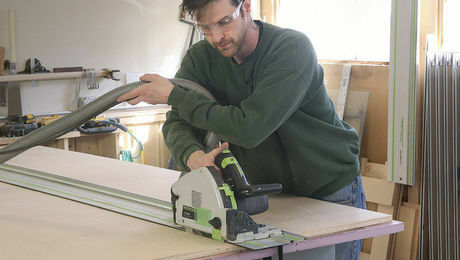 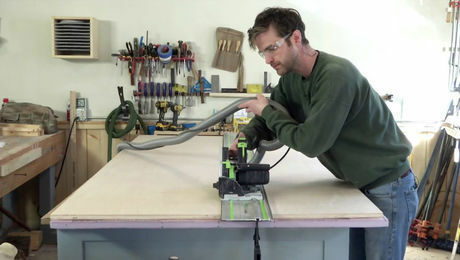 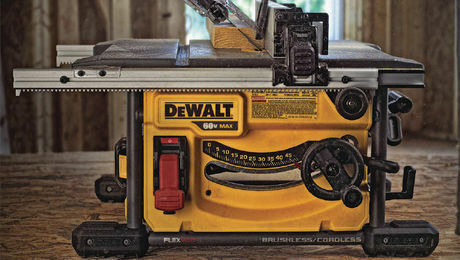 This simple trick for collecting tablesaw discharge dust is a cheap fix for a messy problem, and it makes job-site cleanup a quick and easy task. 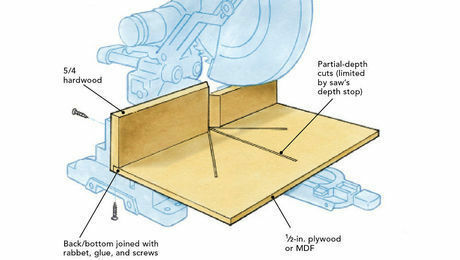 Follow this step-by-step sequence for cutting sheet goods to accurate sizes, all without a tablesaw. 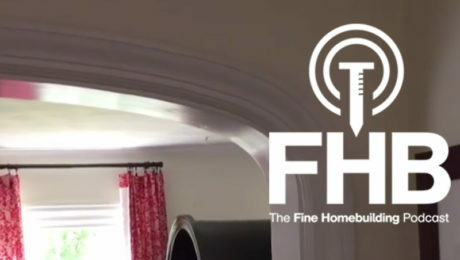 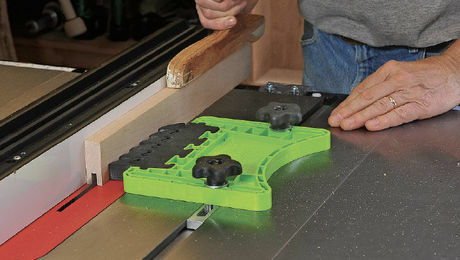 The FeatherPro locks into a miter slot to provide just the right amount of pressure needed to prevent kickback. 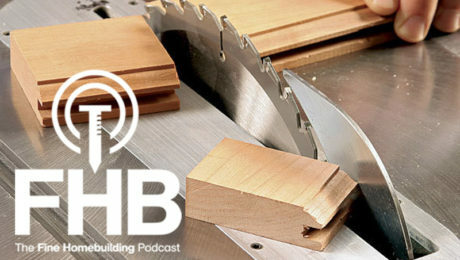 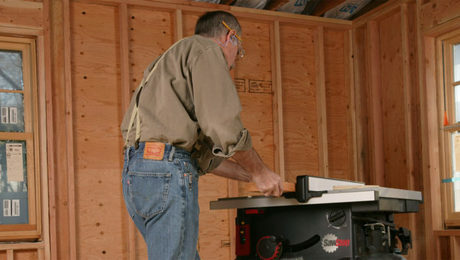 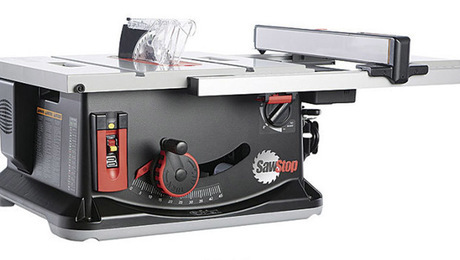 SawStop inventor, Steve Gass, continues his push for new tablesaw laws.